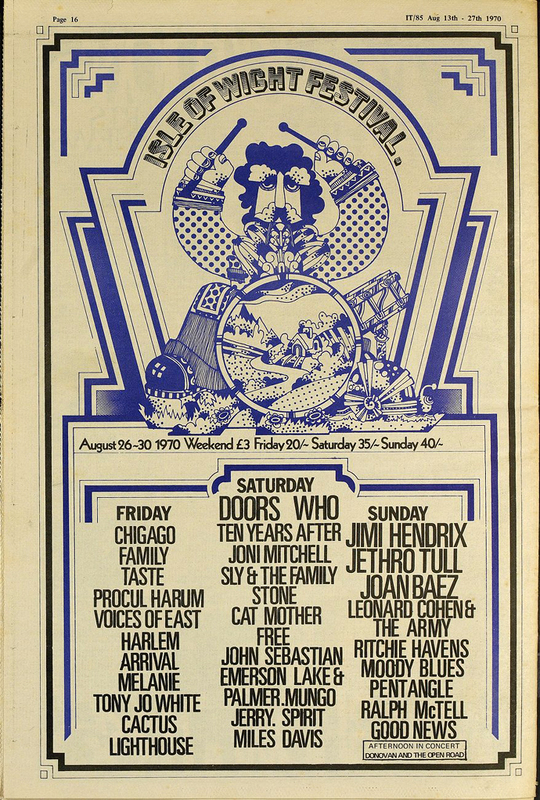 This entry was posted on 21 March, 2013 in homepage and tagged 1970, International Times archive, Isle of Wight Festival Poster. Bookmark the permalink. Three pounds for all that. And people complained it wasnt a free festival. My take home wage in 1970 would have been about £8-£9 a week. So that £3’s like £80 quid now. Hi, yes I realise in money terms its all relative, though £80 would still be very cheap for a three day festival today. My point was more about these festivals getting the blame for not being free festivals. Such a truly radical ideal would only be possible if everyone involved with the festival, from organisers, to suppliers, to bands, to catering etc, were prepared to be involved for free.